2. Christ of the Abyss statue, Key Alrgo Dry Rocks. 3. Tarpon in shallow water. 4. Propel-lor on the Spiegel Grove. Let's face it: any place that could attract John James Audubon, Ernest Hemingway, Tennessee Williams, Harry Truman, Jimmy Buffett and Wyland has to be a culturally mixed bag. The Florida Keys are that — and then some: a self-proclaimed "Conch Republic" and the only world-class tropical-island dive destination that Americans can drive to. AVERAGE WATER TEMP: 69-87°F (winter-summer). WHAT TO WEAR: Dive skin or shorty in summer; 7 mm fullsuit in winter. AVERAGE VIZ: 30-100 feet. WHEN TO GO: Year-round. 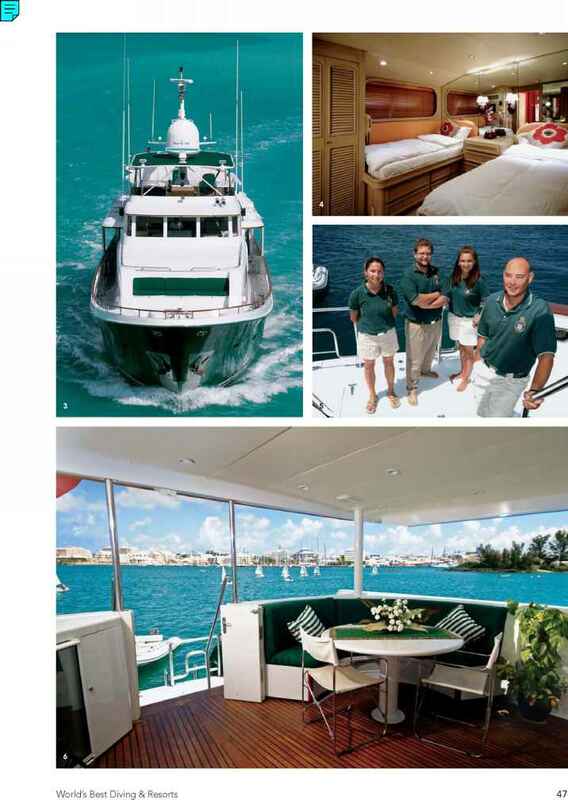 WHAT TO EXPECT: Dive-aholic heaven, ranging from photo-op dives at John Pennekamp Coral Reef State Park to technical dives in deep water off Key West, and a veritable hotbed of action during Florida's lobster season. LANGUAGE: Laid-back English. TAXES: Monroe County sales tax of 11.5% ELECTRICITY: 110 V, 60 cycle. TIME ZONE: Eastern Standard Time, Daylight Savings Time observed. for the largest. And every day, divers discover truly great coral reefs and wreck-dives, all available for the price of a tank of gas and a charter. 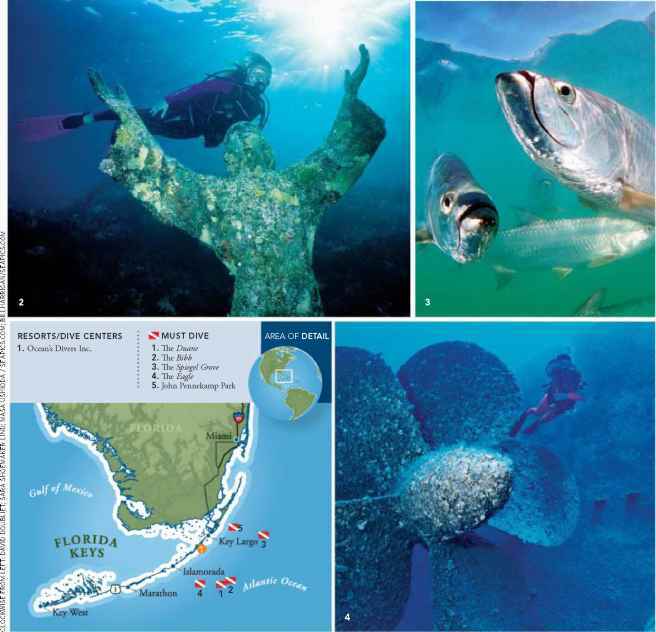 Everyone has a list of Florida Keys must-dives, and Molasses Reef (the world's most popular dive site), the well-photographed "Christ of the Deep" statue, and the now-upright wreck of the Spiegel Grove are three that are certain to show up on all of those lists. And after your dive, it's impossible to run out of things to do: daytime attractions include turtle hospitals, treasure museums and the house where Hemingway wrote The Old Man and the Sea. And once the sun sets — to the thunderous applause of watchers in Key West's Mallory Square — it's just the beginning of night life that runs the gamut from sophisticated to silly.